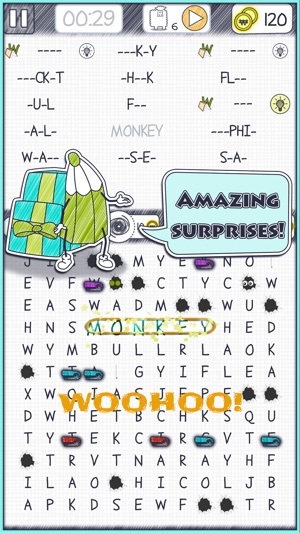 WORCHY: The best word search puzzle is back, with epic art! NOW WITHOUT TIME! Relax and complete the levels at your own! Relax and enjoy this entreatingly addictive word puzzle: 5 different game modes, exquisite graphics and great surprises will guide you through thousands of increasing difficulties designed puzzles. Can you find all the words in these word search puzzles? Train your brain with Worchy! The world's best word search puzzle game. Enjoy Worchy everywhere, any time! 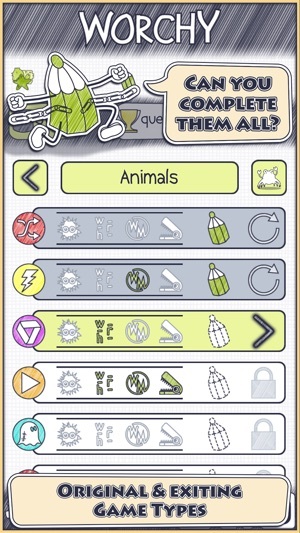 Help Worchy with these word search puzzles and become the ultimate word puzzle master! 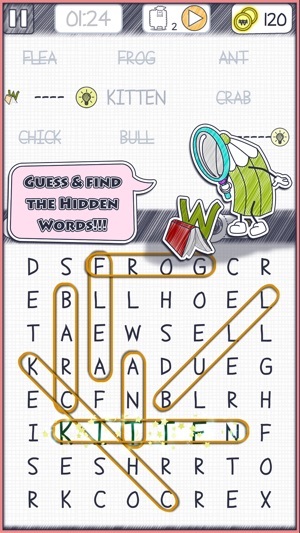 Are you able to find all the words in the puzzles? Don’t forget to guess and find the Hidden Words too! Infinite packs of levels and words, all for free! Thousands of different word find puzzles to play! Train your brain with Worchy! ▶NORMAL: Find all the words, even the hidden ones! ▶GHOST: Some letters will disappear… run, you can still select them! Worchy! 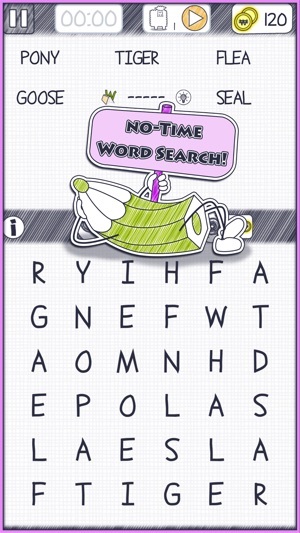 is a timeless word search puzzle full of exciting and challenging daily QUESTS. Come back every day to discover a new one and make sure to complete them to get your reward! 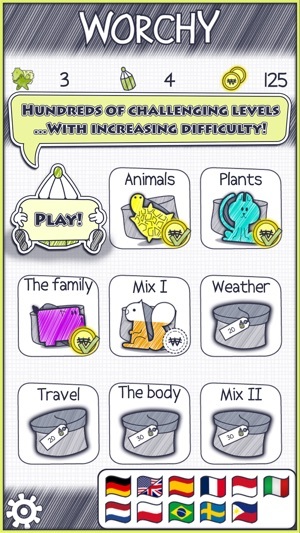 Furthermore, these brain training puzzles are designed with increasing difficulties! Remember to use the power-ups if you get stuck, they are very helpful: Letter Hints, Shuffle, and so many more! Also, there are more than 40 GameCenter achievements that you can earn and share with your friends. Enjoy Worchy! Everywhere, the best word search game right now! You just need a couple of minutes and you will never play the same puzzle: there are infinite boards! Worchy has been working hard: to bring new levels and puzzles. It is much more fun now! Try it! Here he comes with another update that will make the fun more estable. Funnier, easier, better!